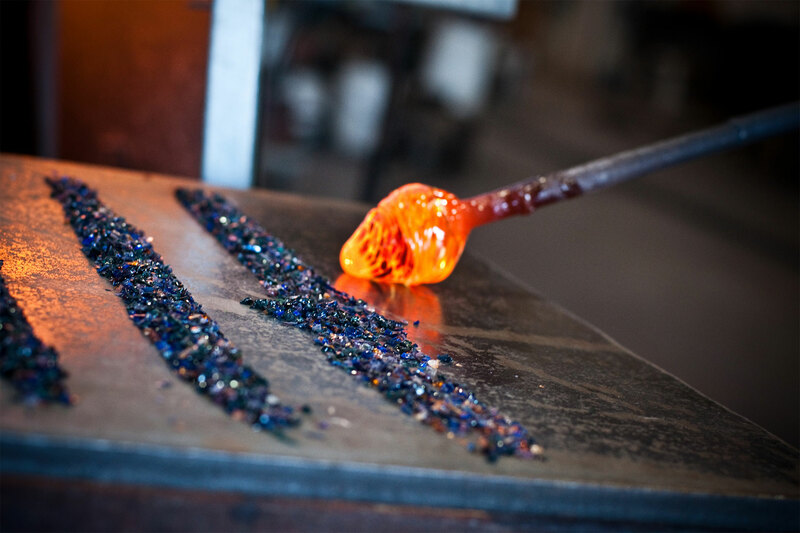 Experience the thrill and craft of glass blowing! Visit Canada’s largest hot glass studio and create your own glass ball with the assistance of one of our highly trained glass blowers. Participants are able to choose their own colours and work through the process of creating a 3″ Calico Ball with a trained glass blower. The cost is $35.00 (plus tax). Must be 8 years of age or older to participate. All participants are required to wear long pants and closed-toe shoes. All participants are required to sign a waiver before participating. The process takes 15 – 20 minutes. Glass ornaments cannot be taken home day of as they need to go through the proper cooling process.